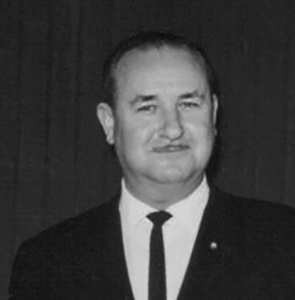 In 1952, Ron Weakley found himself leading one of the largest unions in the country. IBEW 1245 cancelled all of its contracts and “took on the PG&E and all other employers in our jurisdiction and the world in general,” Weakley recalled. It was time to prove the power of unity. The union was put to the test immediately when street carmen went on strike at the Key transit system. IBEW 1245 members in the Key’s electric department walked out in sympathy, just as IBEW members had walked out with street carmen at United Railroads in 1907. Memories of that earlier strike might have faded, but the logic of solidarity remained very clear. IBEW 1245 members stayed out until forced back to work 60 days later by court order. Local 1245 began delivering the goods. In 1953, with inflation under 1%, the union won wage hikes ranging from 5.3 to 7% at East Bay municipal employers. Increases were also bargained at the newly-organized City of Lodi and Sacramento City Lines (later to become Sacramento Regional Transit). The union negotiated wage hikes of 3.5% for all Physical and Clerical classifications, equity increases for 58 classifications, and substantial gains in retirement income. Weakley wanted IBEW 1245 to set wage standards for all utility work in northern California and Nevada. To gain bargaining leverage, IBEW 1245 needed to build labor agreements with all utilities in the area. The two largest, besides PG&E, were Sierra Pacific Power and the Sacramento Municipal Utility District.